Posted September 21st, 2016 by Rabbi Lebow & filed under Advice. There are a number of traditional milestones that are part of a Jewish childhood, and if you’re in need of a rabbi to help guide you through the process, Rabbi Lebow is here to help. One of the most beautiful traditions in the Jewish tradition is a bris, the practice of blessing a newborn baby, since each baby is a blessing in their own right. The bris ceremony is typically done on the eighth day following a baby’s birth and corresponds with, in the case of boys, their circumcision. In some cases, the ceremony can be held before the child is discharged from the hospital. 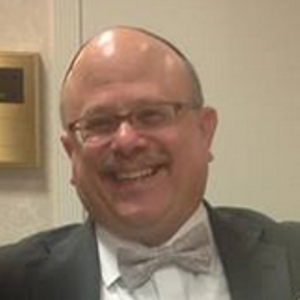 Rabbi Steve Lebow has conducted a number of these blessings for members of the Jewish faith around Atlanta for years. While he does not perform the circumcision himself – that task is left to a mohel, a specific kind of rabbi, or a licensed doctor – Rabbi Lebow conducts a number of prayers and blessings for the child. While most children are blessed within the first few days of their life, they are not excluded from receiving this blessing at any time. Rabbi Lebow has conducted these blessings, along with naming ceremonies, for children up to 12 years old. Girls do not have a traditional date for a naming ceremony. It can be done any time after they are born, whether while still at the hospital or even a few years later. This baby naming ceremony and blessing helps welcome a child intto the Jewish faith. It’s important, especially for interfaith couples, to hold this ceremony to instill the Jewish faith as an area of importance in the child’s life. Rabbi Lebow also holds naming ceremonies where the children are given Jewish names. Parents can meet with Rabbi Lebow to discuss different naming options to make sure the name fits their child. They can also talk with Rabbi Lebow to plan the ceremony to make sure it highlights what is important to them in the Jewish faith while balancing any other traditions. If you are a new parent or about to be one, reach out to Rabbi Lebow to schedule a Jewish baby naming and blessing ceremony for your child by calling 404-790-8612.